All Thomas D Bradley names, images, likenesses, trademarks, logos and copyrights are the exclusive property of Thomas D Bradley. All other trademarks, logos and copyrights are the property of their respective owners.Copyright © 2018 by Thomas D Bradley. All Rights reserved. Thomas started in television when he entered high school. Thats when he met the man who is now longtime mentor, Phil Proctor, at the CNN Center in Atlanta, Georgia in 1996. Phil took him under his wing, and ever since, the "TV Bug" has bitten Thomas. In high school Thomas took telecommunications with concentration in television production where he produced, directed and ran studio camera for campus newscasts. Later, Thomas started his apprenticeship with Phil at Turner's World Championship Wrestling (WCW). At WCW he sat and observed on-line edit sessions and helped with any post-production needs. Later after graduation from Benjamin E. Mays High School, he accepted a paid internship at CNN Atlanta in 2000. During his internship his responsibility was to archive, reshelf tapes, one-inch reels and Beta. In addition to working at the CNN library, Thomas worked closely with CNN Image Source, a CNN operation that takes the production houses and clients requests for archive footage. Thomas would dub the clips onto tapes and then the tapes would be shipped. After Thomas summer internship ended, he packed up his things and headed to Mendota Heights Minnesota to attend Brown College. At Brown College he studied theory in television and had an opportunity to learn all the positions behind the camera. This experience provided substantial hands-on training in a multi-camera studio, in addition to shoots that were done on location. During college he earned a 4.0 and was awarded the Dean's List certificate for the spring quarter in 2001. Thomas graduated from Brown College with an Associate of Applied Science Degree. In 2003, Thomas started freelancing and worked as an intern for GPB (Georgia Public Broadcasting) "LAWMAKERS"
show. While at GPB, he help and assist with production and big live remotes such as the annual Georgia Music Hall of Fame. Then at WSB-TV Channel 2, Thomas also freelanced with big remote productions during their annual "SALUTE 2 AMERICA PARADE" as a camera operator and camera assist. Before Joining CNN fulltime, Thomas was a satellite logger in the Satellites & Circuits department. While there he logged any incoming and out going satellite feeds through dedicated fibers, both international and domestic. After being a satellite logger for two years, Thomas accepted the Digital Conversion Operations (DCO) position. There he worked with all platforms of tapes, one-inch reels and other forms of media that is archived in the CNN library. Once the DCO operator obtained these tapes and reels, he then digitized or ingested video into the SONY Pedisite server so all tapes and reels were archived in the CNN library and could be seen via the MIRA Web site. The operator closely monitored all tapes and reels by the waveform and vectorscope monitor for quality control during the digital conversion process and organization; attention to detail was a must. Thomas was hired fulltime with CNN where he spent most of his six years working the studios. There he helped launched Headline News' primetime program Prime News formally Prime News with Erica Hill and Nancy Grace. At CNN Thomas work the studios of CNN Headline News, CNN Domestic and CNN International his primary duties were floor directing, script distribution and teleprompting. During his tenure at the cable giant, Thomas has trained in their post-production department, with video network editors and with their top audio designers. At FOX 5 News in Atlanta, GA his duties entail going out and shooting stories for live programming, and on occasions, he shoots SOTS and VO/SOTS. In addition of shooting stories he operates live ENG microwave/ satellite trucks for live on location shots and for breaking news. Finally he edits packages non- linear format on location in live trucks and in studio for air; furthermore Thomas edits voice-overs, VO/SOTs, packages and pre-produced teases for newscasts. Thomas enjoys spending time with his mother, Belinda, and has a brother and sister. 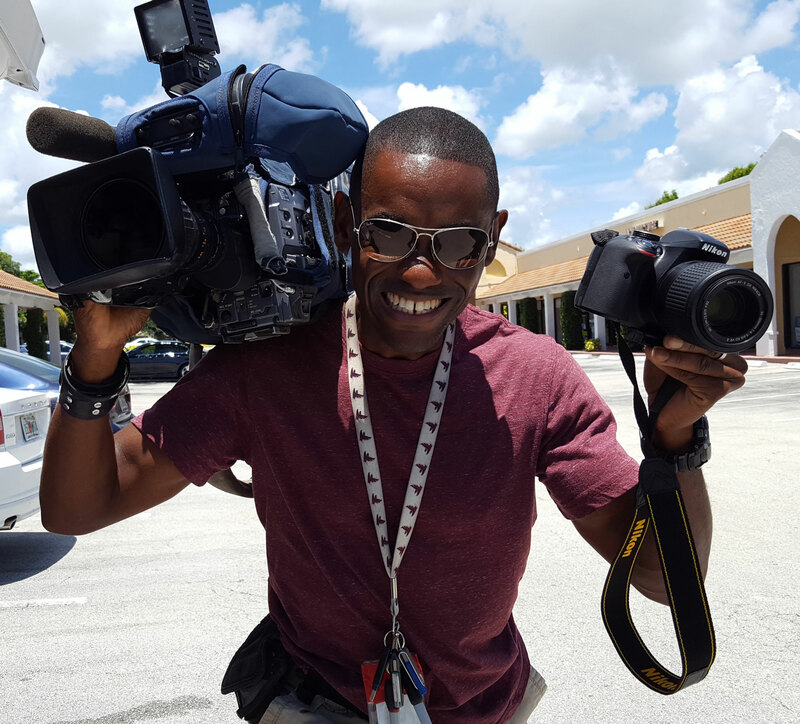 If he is not working, you might see him around live trucks, satellite trucks or TV production trucks. Entertainment (WWE) and Georgia Dome Productions.